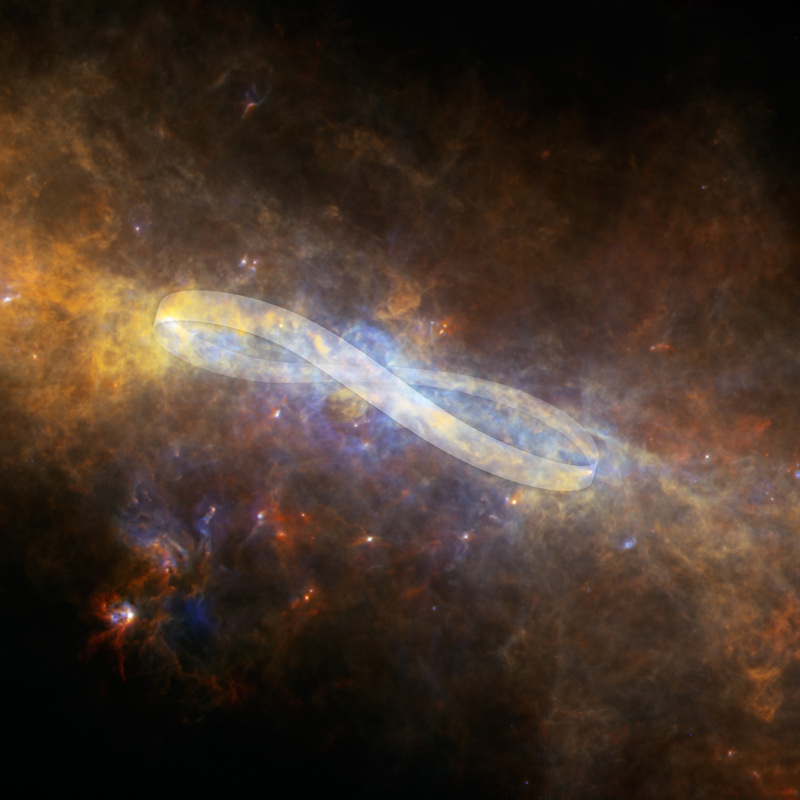 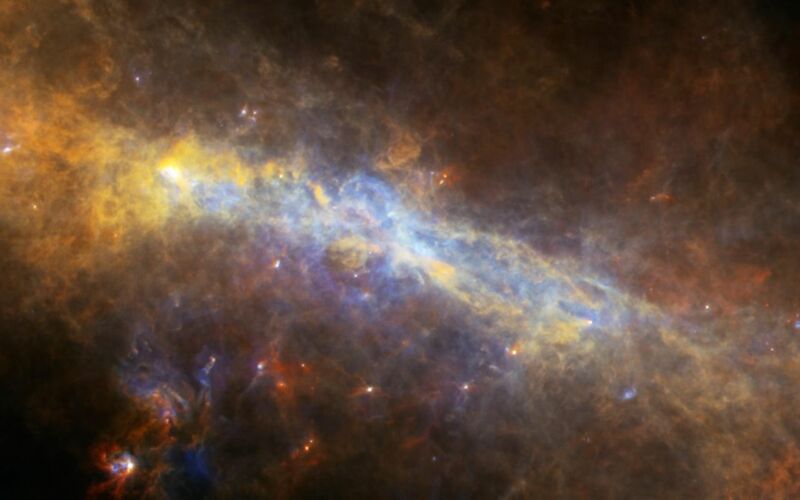 In a strange twist of science, astronomers using the Herschel Space Observatory have discovered that a suspected ring at the center of our galaxy is warped for reasons they cannot explain. 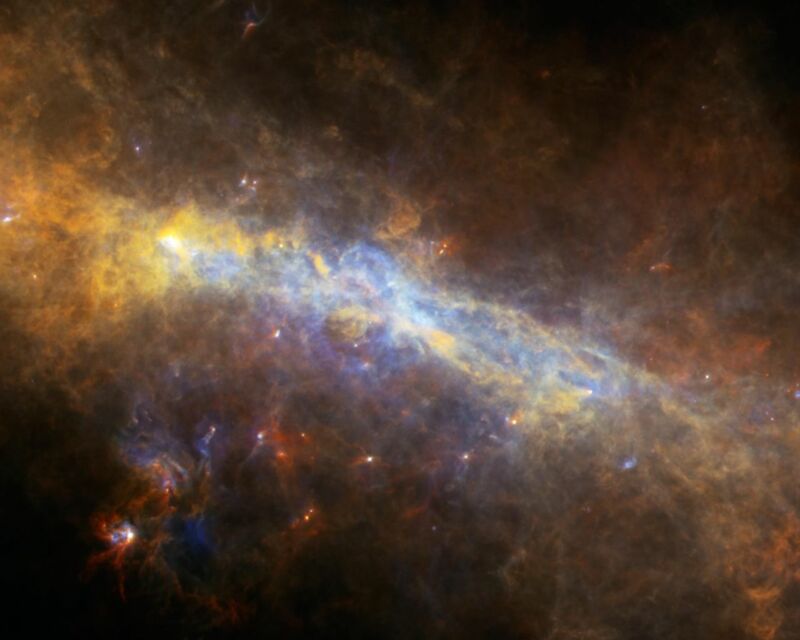 This image from Herschel, an infrared European Space Agency-led mission with important NASA contributions, reveals the ring with greater clarity than ever before. It can be seen as the yellow loop that appears to have two lobes (Figure 1). In fact, the ring, which is a collection of very dense and cold gas and dust, is twisted so that part of it rises above and below the plane of our Milky Way galaxy.